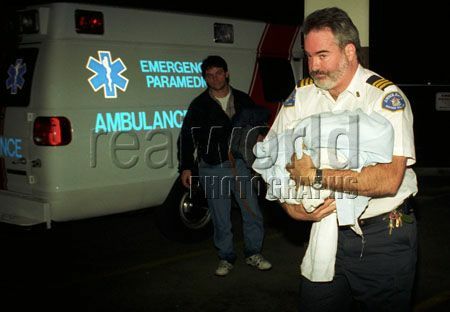 A paramedic rushes in a kidnapped baby into a Kelowna, British Columbia, hospital in 1994. A student posing as a photographer kidnapped the baby from an unsuspecting mother. The baby was found by a police dog three days later unharmed.